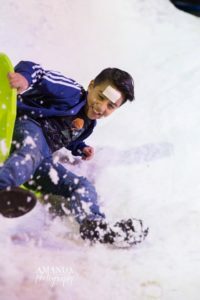 Despite having to set up most of the annual Christmas Memories Extravaganza in one day due to weather, the 2017 celebration was a record setter in many areas. The donations gathered for Toys for Tots has shattered the previous toy count and the number of people riding the train was up too as was the number visiting the concession stands. Turkey legs, Frito Pie and deep fried Twinkies were selling like, well like Funnel Cakes. 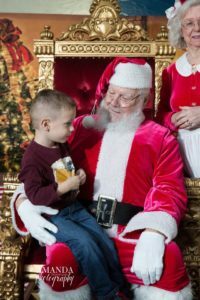 Santa was there for an extra half hour and kids of all ages enjoyed the petting zoo,. The Scout’s ‘ smores’ pit was full all night and the Snow Hill was fantastic thanks to the cold weather. A special thanks to the YAC volunteers, the Parks staff, the PD and all the volunteers who helped make the 2017 Christmas Memories so memorable. Have a Very Merry Christmas !!! !